Philip Ball is a writer based in London. His latest book, on quantum physics, is Beyond Weird. In What Is Life? (1944), Austrian physicist and Nobel laureate Erwin Schrödinger used that (still-unresolved) question to frame a more specific but equally provocative one. What is it about living systems, he asked, that seems to put them at odds with the known laws of physics? The answer he offered looks prescient now: life is distinguished by a “code-script” that directs cellular organization and heredity, while apparently enabling organisms to suspend the second law of thermodynamics. These ideas inspired the public and a number of scientific luminaries, but exasperated others. Although their elements were not original, the formulation brilliantly anticipated Francis Crick and James Watson’s discovery in 1953 of how DNA’s double helix encodes genes. As Crick wrote to Schrödinger that year, he and Watson had “both been influenced by your little book”. Since the 1930s, biology had been turning from a largely descriptive science into one concerned with mechanism. Thanks to studies such as those by geneticist Thomas Hunt Morgan on fruit flies, researchers were starting to understand heredity in terms of the transmission of genes, envisaged as large molecules arranged on chromosomes. Many expected genes to be proteins. However, even as Schrödinger was preparing his lectures, the microbiologist Oswald Avery was finding evidence that they were nucleic acids. Thus, What Is Life? dropped into a tumultuous time for science as well as for sociopolitics. Schrödinger steps into these cross-disciplinary waters cautiously. He declares himself a “naive physicist”, pondering how life sustains itself and transmits genetic mutations stably across generations. His work on quantum mechanics had earned him a Nobel prize in 1933, but that was hardly qualification for commenting on biology, in which Schrödinger had previously shown little interest beyond forays into the physiology of vision. Arguably, that naivety is the source of the book’s strengths as well as its weaknesses. The puzzle in the title stemmed from how physicists and chemists then thought of the molecular world, as wholly governed by statistical behaviour. In the classical molecular physics of James Clerk Maxwell and Ludwig Boltzmann, atomic motions are random (see E. Schrödinger Nature 153, 704–705; 1944). Precise, robust physical laws, such as those linking the temperature, pressure and volume of a gas, emerge from the average behaviour of countless atoms. How, in that case, can a specific macroscopic outcome — a phenotype, an organism’s observable inherited traits — arise from an individual genetic mutation at the molecular level? Here, perhaps, is a ghost of Schrödinger’s cat, formulated in 1935, whose macroscopic life or death hinges on a single quantum event. (Mathematician Roger Penrose has said of the thought experiment that “it would not surprise me if Schrödinger had something of this issue partly in mind” when he wrote What Is Life?.) Looking at an inherited characteristic (such as the protruding lower jaw common among members of Europe’s Habsburg dynasty), Schrödinger asks how the allele responsible remained “unperturbed by the disordering tendency of the heat motion for centuries?”. Here, he cites experiments by another former quantum physicist, Max Delbrück, whose use of high-energy radiation to induce genetic mutations allowed him to estimate a gene’s size at around 1,000 atoms. Schrödinger claims that this seems too small for “lawful activity” — durable inheritance — to persist in the face of statistical fluctuations. But he asserts that quantum mechanics can explain the matter. Atoms in molecules can typically be arranged in many stable ways, and each configuration has an associated energy; this is how Schrödinger envisages different gene alleles. But “quantum jumps” between them are generally inhibited by high energy barriers. He goes on to propose that such gene-encoding molecules (he was among those who suspected that they were large proteins) have enough potential variety in their configurations to encode huge amounts of information, and that this variety can furnish a cell’s “code-script”. The position of each atom matters, but the pattern does not repeat — hence his description of the molecules as being like an aperiodic (irregular) solid. It wasn’t an entirely new idea; Delbrück had suggested something of the kind in 1935. And biologists Hermann Muller and J. B. S. Haldane had independently proposed that chromosomes might act as templates for their own replication, in the same way that new crystal layers build up on pre-existing ones. None of this, Schrödinger admits, answers the deeper question of “how the hereditary substance works” — that is, how it is used in development and metabolism, enabling an organism to build and sustain itself from moment to moment in what Schrödinger calls its “four-dimensional pattern” in space and time. But he makes a start on that issue by posing the question in thermodynamic terms. This isn’t a matter of energy (organisms’ energy intake and output must be balanced, or they’d burn up), but of entropy, the measure of atomic disorder. The second law of thermodynamics states that entropy must increase in all processes of change. But organisms somehow stave off entropic dissolution. As Schrödinger put it, they feed on “negative entropy”, using it to sustain the organization apparent in the structures and functions of cells, while paying their thermodynamic dues by heating the environment. How they mine negative entropy, he could not say. He was forced to suggest that, in living systems, “we must be prepared to find a new type of physical law”. Today, no such drastic solution seems to be needed. The concept missing from his analysis is information. The information theory of Claude Shannon and the cybernetics of Norbert Wiener in the 1940s and 1950s began to fill that lacuna, although only more recently have researchers begun to understand how information truly features in biology. As Schrödinger’s talk of negative entropy hinted, life is a pocket of out-of-equilibrium order in an open system, and the DNA code is just part of what sustains it. It’s a shame that Schrödinger didn’t touch on fellow physicist Leo Szilard’s work on Maxwell’s demon, a thought experiment that revealed how entropic disorder could be undone by making use of molecular-level information that looks like mere statistical noise at the macroscopic level. What’s more, Schrödinger gave his code-script too much agency by imagining that its readout was mapped directly onto the phenotype. This isn’t how it works: you can’t read the arrangement of the body’s organs in the genome. The information functions as a resource, not a step-by-step guide. To acquire meaning, it must have context: a cell’s history and environment. Tracing how the phenotype emerges from interactions of genes with each other and with their environment is the key puzzle of modern genomics. Although these judgements are uncharitable, they are not without substance. Why, then, was the book so influential? Rhetorical theorist Leah Ceccarelli argues that it was down to Schrödinger’s writing style: he managed to bridge physics and biology without privileging either. But today, we can find more than that. 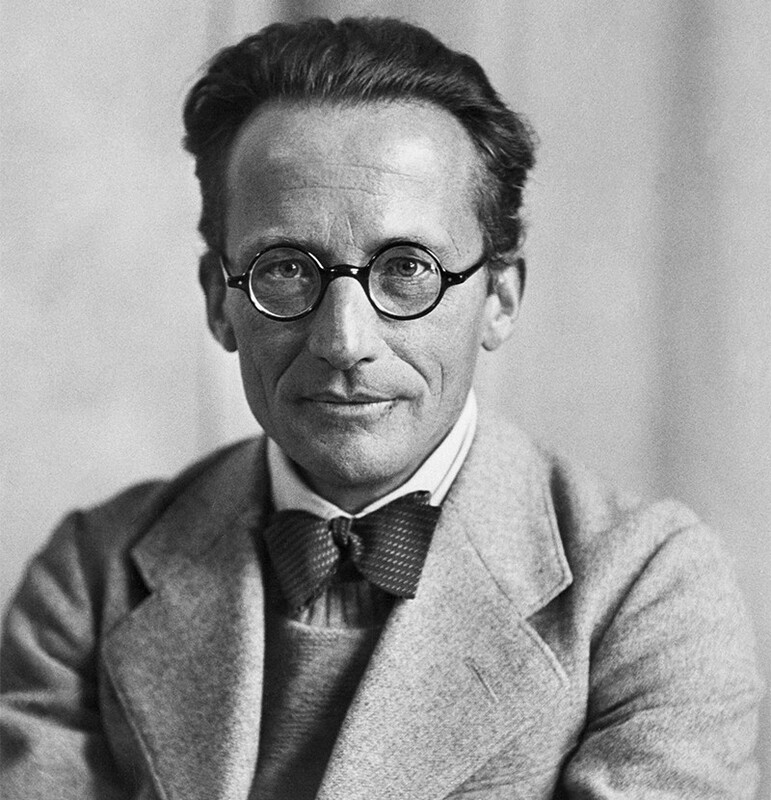 Schrödinger’s thoughts on the entropic balance of life can be regarded as precursors to studies of how biological prerogatives such as replication, memory, ageing, epigenetic modification and self-regulation must be understood as processes of non-equilibrium complexity that cannot ignore the environment. It is intriguing that similar considerations of environment and contingency are now seen to be central in quantum mechanics, with its ideas of entanglement, decoherence and contextuality. Whether this is more than coincidence, we can’t yet say.